Jonah Hauer-King was born in London, England to former producer/director Debra Hauer, who was born and raised in San Francisco, and famed restaurateur Jeremy King. He also has Canadian roots, with his maternal grandparents hailing from Toronto, Ontario. Although his parents made sure Jonah had a realistic outlook on the uncertainty and instability of being an actor, by his mid-teens the youngster knew the stage was calling him. He was performing at the Edinburgh Fringe, the world’s largest arts festival, when an agent signed him. He subsequently made his West End debut in the revival of The Entertainer at Garrick Theatre with the Kenneth Branagh Theatre Company while still in university. The play was later broadcast in theaters, giving the young actor further exposure. Jonah graduated from Cambridge University in 2017 with a degree in Theology and Religion. He made his feature film debut with a lead role in The Last Photograph (2017), directed by and starring Danny Huston. 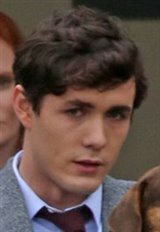 Jonah went on to guest star in the miniseries Howards End and Little Women (both in 2017). He had another successful year in 2018 when he appeared in the films Ashes in the Snow and Old Boys. Not only was the talented actor also cast in the film Postcards from London, he wrote and sang on the soundtrack for the film. Jonah’s latest projects find him acting in Once Upon a Time in Staten Island (2019) alongside Naomi Watts and playing the starring role in A Dog’s Way Home (2019), based on the bestselling novel of the same name from the author of A Dog’s Purpose. Onstage, Jonah has also performed in Rent (in the role of Roger) at the ADC Theatre, in Equus (playing Alan Strang) at the ADC Theatre and in Punk Rock (playing Nicholas) at the Lyric Theatre. Jonah's parents divorced in 2005. His sister, Hannah Hauer-King is a theater producer.